Yes it it probably true that DonQui is slightly obsessed with breakfast. 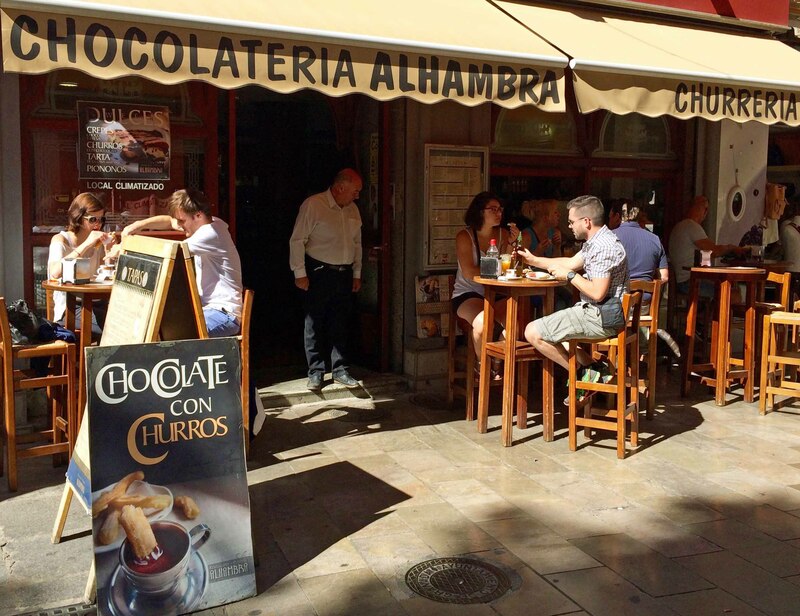 When he came across this chocolateria in Granada he just had to try out their breakfast special of Churros, hot chocolate and fresh orange juice. It was rather delicious. 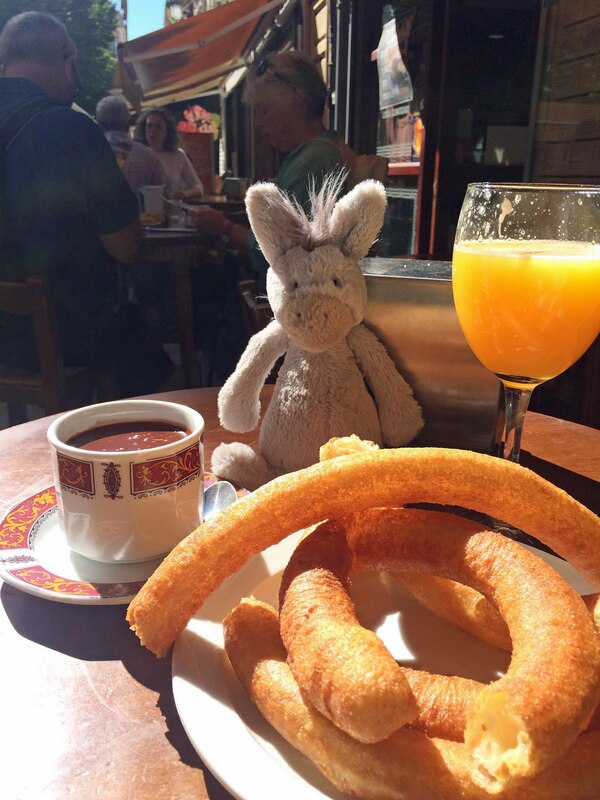 Churros are super light fried dough, served hot for dipping into the very thick pudding-like hot chocolate — all rather delightfully decadent! those are huge! love churros. just seeing them in your post made me smile. many thanks! Closest thing in Canada is perhaps a Tim Hortons’ honey cruller! Churros form a good part of my happy memories from Spain!